When building the GHY Bikes/Transition/DVO Team over the fall, the one thing that was clear from all the partners of the team was that Enduro racing was very important to all the brands supporting it. Showing versatility in DH, Slalom, pump track and Enduro was one of the goals for the team from day one. Dylan Brown had a great start to the Enduro season with silver at the Double Down in Spokane, WA in the Jr. Class (the first race of the year) and a Cascadia Cup podium 5th at Hood River, OR. 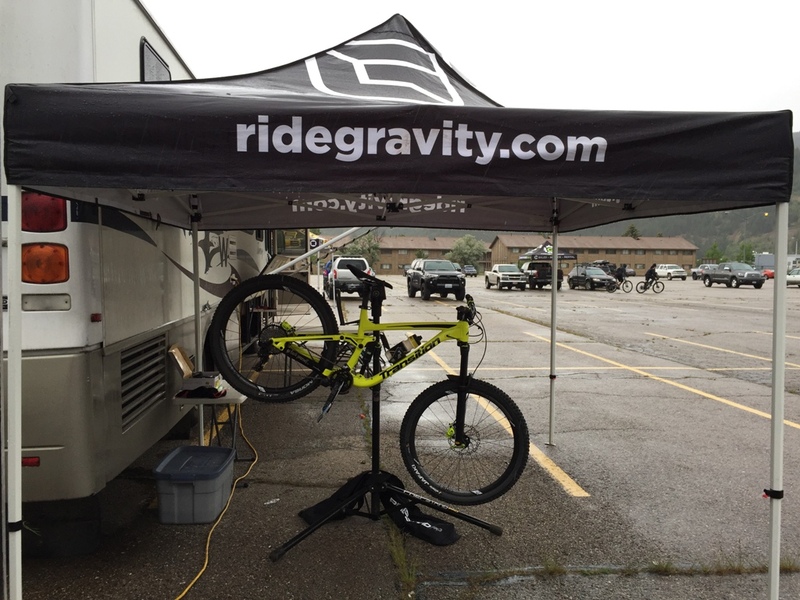 One of the big events for the team was the North American Enduro cup at the beautiful Silver Mountain Bike Park in Kellogg, Idaho. With this being a co-sanctioned event with the Cascadia Cup Enduro series, Idaho enduro, Montana enduro, BC Enduro series and MTB Enduro, you knew right away that the fields would be stacked with talent from all over the Northwest and beyond. Prior school commitments kept Dylan Brown from making the trip, while Bailey Villalovos’ graduation meant that he and head wrench Jerry Villalovos would also stay behind. 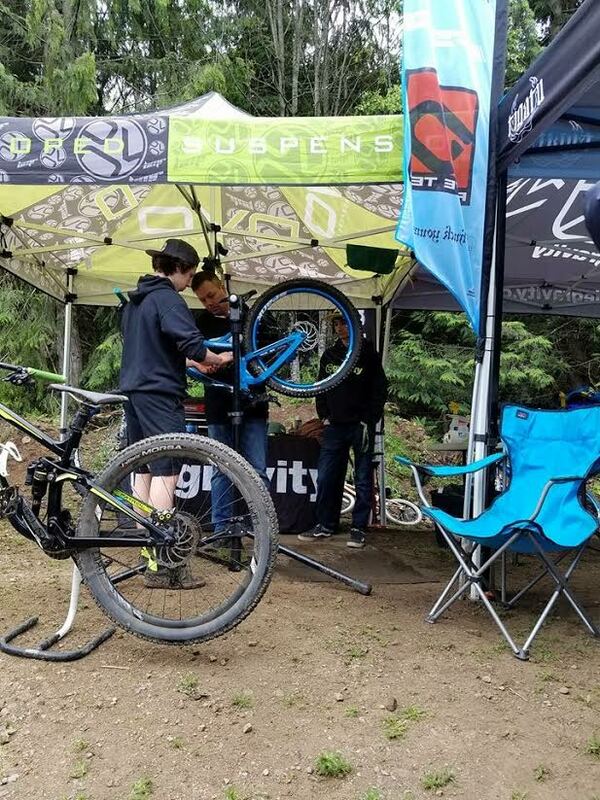 With Jason Gibb running the GHY BIKES tent at the Duthie Days Festival, Josh Gibb ended up hitching a ride with All Out Racing’s king pin Kody Clark. Practice was Friday and Josh felt really good on his Transition Patrol with the new Topaz shock from DVO requiring minimal changes to get the feel and speed he needed. Josh felt good on five of the six stages, knowing that he just needed to stay in touch on the very pedally stage two and not burn out. A tire change to the Vittoria Jafaki in the front during practice, planted the front of the bike and he felt he had a real weapon for battle for the weekend. Ripping out of the start Josh got a little more excitement then he needed, going foot out flat tracking the first turn and almost going dirt yoga but saved it and went on to a solid finish of third in the first stage. Josh knew that stage two was his Achilles heel for this event and he had to stay in touch on this stage. Losing too much time on this stage could have put Josh out of contention if he couldn’t keep it close. After stage two, Josh was 30 seconds down to the leader. Mission accomplished, still in the hunt. Less pedaling and more DH fit right into Josh’s wheel house for stage three. Josh went out and crushed it with a five second win, closing the gap on the leaders. Josh continued to close the gap on the leaders with a top three finish on the very rooty stage four. 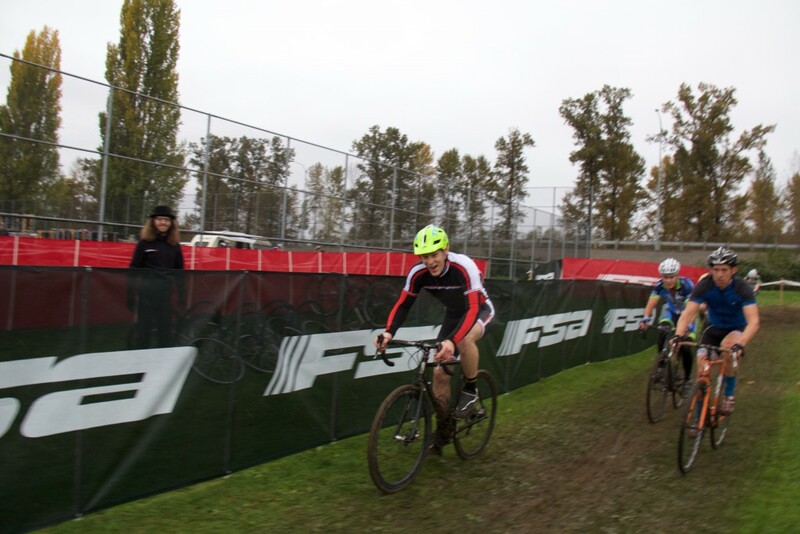 With rain coming down right as Josh rolled out of the start box, the trail was getting a little slick. Staying focused, making no mistakes and staying on the gas was a must. At the end of the day, Josh had made up 20 seconds going into stage six on Sunday and was only ten seconds back from the leader in second place, well within range of pulling back the time for a possible podium spot. Three hours in the saddle and 4,000 feet of climbing, started the day bright and early for the competitors. With one 15 minute DH run to the bottom on Sunday for the NAEC title, Josh knew this was his best stage overall for making up time on the “pedalers”. Find your rhythm quick, stay clean, don’t crash and don’t burn out too soon and a win is possible with his DH skills. When it was all said and done, Josh made up the ten seconds on the leader and put another 30 seconds on second place for the overall win in Expert Men!